The Journey started once I landed into Antibes at 10.00pm and arrived at a very charming French villa/hotel that was to be my place of rest for the 3 nights I was in France. 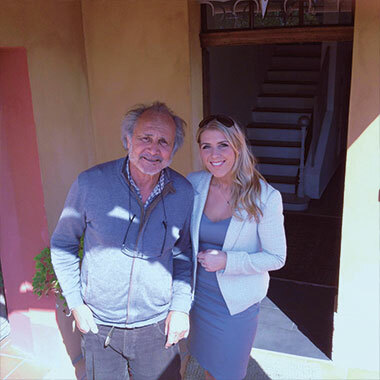 I was greeted by a glorious day of hot sunshine and the local French owner, Philip that sorted me out with a traditional French continental breakfast – that certainly was to be my fuel for what was about to come. I grabbed my first quick taster at the Carlton hotel before attending my first business lunch which started at 1pm on the beach front. With around 10 new friendly faces from companies including, Plait Creative, HOK, Even Group, Willis, abovewealth, and Deloitte, they nicely complimented the selection of canapés, and cocktails followed by a rich three course meal. The drinks started rolling and so did the functions/events as we quickly moved onto the next event at the Grand hotel. 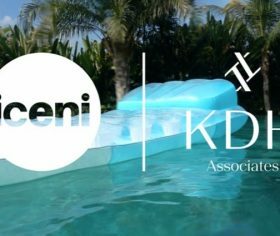 Again with a mixture of property professionals and delicious bites to eat I could quickly see how people felt at ease discussing business in Cannes. As the sun started to go down, we moved onto a private event (Coutts do) and even though my name wasn’t on the list – I somehow managed to get through the layers of body guards and security to enter a grand room full of property professionals and chefs that were carving up Smoked Salmon all the way from St Johns Wood for the guests. Throughout my evening I met an abundance of interesting people and contacts from all different areas in property, as well as the odd individual who’s obvious intentions weren’t to chat property with me… The night was rounded off by some dancing in one of the large nightclub and certainly by 5 in the morning I was ready to hit the hay. 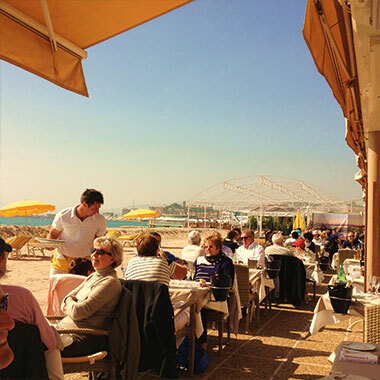 Another sunny day in Cannes, and onto the next business beach lunch starting at 1pm. 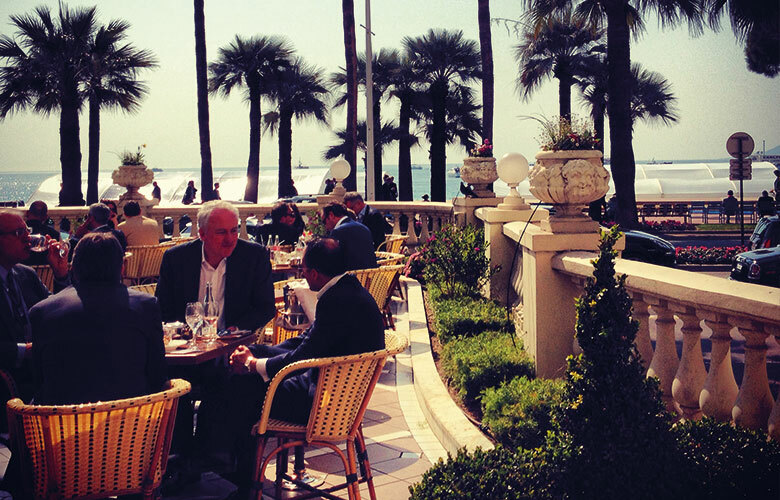 Again surrounded by interesting individuals from XYZ Land Surveys, Emap, and Szerelmey to name a few, it was easy to let MIPIM take its toll and lubricate the flow of conversation. 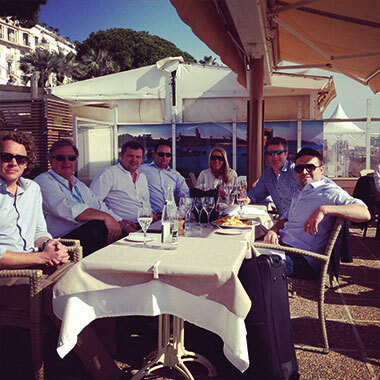 I quickly learnt that Friday was the changeover day for most, which allowed a certain few individuals who were staying on an additional night like me to soak up the sun, enjoy the French Cuisine and reflect on the hard work that had taken place at MIPIM that week. To round off the end of my short MIPIM experience, I found myself in the old Streets of Cannes that were filled with rustic, petite French restaurants that spilled into the cobbled streets, whilst enjoying what had been yet another warm and sociable day in Cannes. 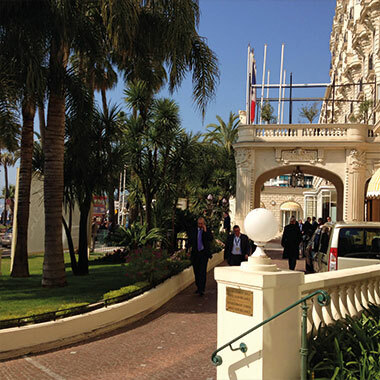 I left my first MIPIM trip, feeling utterly exhausted but excited by the prospects of what the next MIPIM trip will bring in 2015 – when maybe I will be able to call myself a true MIPIM experienced social networker.